New Delhi, Jul 16: Bollywood icon Aamir Khan met Prime Minister Manmohan Singh here today and apprised him of the plight of manual scavengers. The society looks down upon those who remove human waste with their hands, the actor rued. He urged the PM to take immediate steps to stop the degrading practice. Aamir had recently drawn attention to manual scavenging in ‘Satyamev Jayate’, the television show he anchors, and showed how an estimated 3 lakh persons from the oppressed classes are still forced to clean night soil. Through the aforementioned programme, Aamir has been highlighting social ills like female foeticide, child sexual abuse, honour killings, dowry, domestic violence etc. The fact that these issues became topics of heated debate subsequently indicated the power of celebrity activism. However, he faced opposition from some quarters. 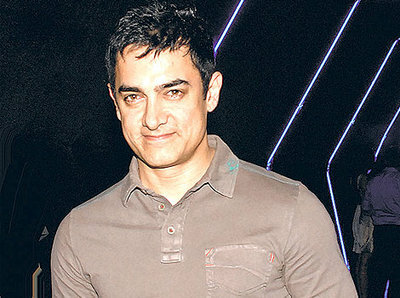 Following the telecast of a particular ‘Satyamev Jayate’ episode on medical malpractice, many doctors accused Aamir of demeaning their profession. » Jagan Deserves Governor Like Protocols?